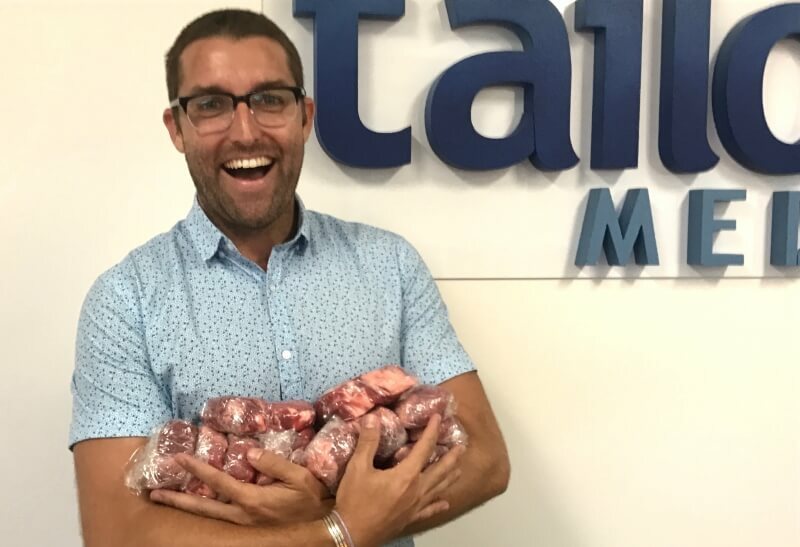 A big warm welcome to the best butcher on the Gold Coast – well, quite a few of them actually – all the lads and ladies at the Gold Coast Fresh Meat Centre. The team have found us the choicest 24 pieces of Scotch Fillet for dinner. Make no misteak about it (see what I did there? ), they’re delicious and we’re all having steaks for dinner! Great to have them aboard and we look forward to making more stupid puns along the way. We’ll be silly sausages! Gold Coast Fresh Meat Centre – fav clients today!